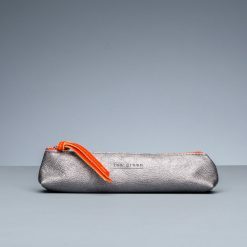 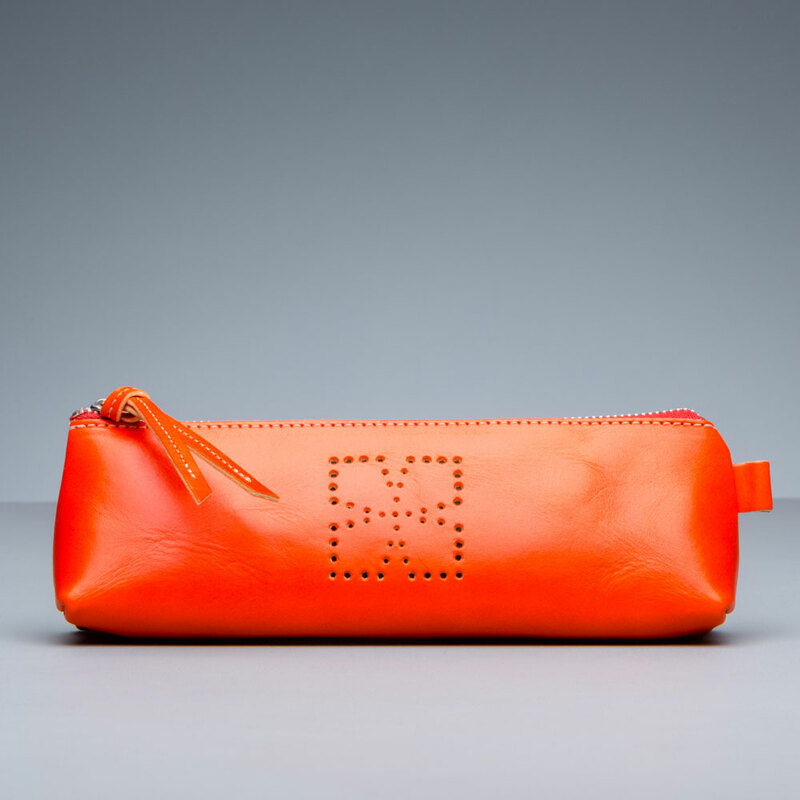 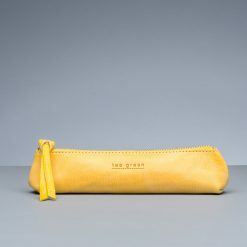 This zipped pencil case could also be used as a makeup bag. 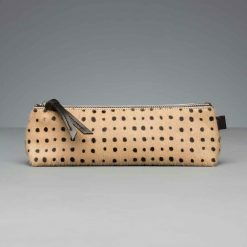 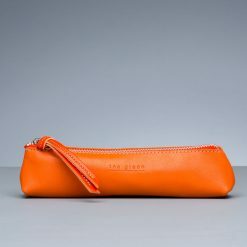 It is made from good quality, naturally tanned Italian leather and has a simple motif punched through the leather on the front. There are a variety of colours available.